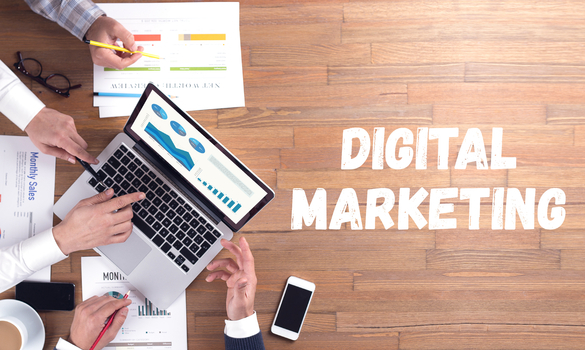 Digital marketing is turning into the main marketing tool for a lot of businesses. Offline marketing is still very important, but you get the opportunity to reach thousands of potential customers online with an effective digital marketing campaign; it is the opportunity you cannot afford to miss in today’s competitive market. If you are not doing digital marketing, now is the perfect time to start. Most small businesses understand why digital marketing works. Do not fall behind the competition. You have a wealth of tools to use, great digital marketing instruments and platforms to integrate into your campaign, and more than enough resources to help you master this new way of connecting with the customers. Plus, you have these four branding tips to help you achieve digital marketing success. I know, this first tip may seem counter-intuitive at first. Isn’t now the time to get into video marketing? It is, but a blog is still the best anchor for all of your online branding and marketing activities. Adding a blog section on your company website or starting a new blog about your brand is still an important part of the digital marketing equation. First of all, starting a blog is easy. You can follow this how to start a blog guide and get your own company blog up and running within minutes. You can also add your branding elements to the blog through the use of custom design (or theme) and web elements. Next, post valuable articles that the readers will love. Forget about selling your products and services for a minute and focus more on posting content that is useful for the viewers. You can add videos from your YouTube channel, Instagram posts that gained a lot of attention, and even your tweets or replies from customers to the post. From the previous explanation, it is easy to see how your blog can act as an anchor to your online (branding) activities. Social media posts come and go rather quickly. Videos and content that you share on other platforms – including the videos you upload on YouTube – are limited by the constraints of the platform. Your blog, however, is entirely yours to control. Using an informative and engaging blog as the center of your digital marketing efforts, you can generate traffic from various sources using strategies such as search engine optimization or SEO and content marketing. Then, you can successfully measure brand value based on your efforts. It doesn’t stop there either. You can gain traction using ads, direct traffic from your site to social media pages to gain more followers, and benefit from having a stronger online presence in general. Here’s an additional tip to keep in mind if you want to be successful with your digital marketing efforts: stay consistent. The audience will only follow your activities online when they know that there is something to follow. This makes staying consistent very important. Instead of posting 10 articles at once and then not posting anything to your blog for weeks, schedule those posts so users have something to look forward to. One post every week is the minimum; two or three posts per week is ideal. Consistency is also the key to successful branding. Once you have a clear set of brand characteristics defined, develop a brand identity and make sure all digital assets stay true to those characteristics. Users need to recognize your brand regardless of which digital asset they visit; your social media profiles need to look and feel consistent with your brand messages. These three tips will help you achieve greater digital marketing success with your brand. Remember to evaluate every part of your digital marketing and rely on insights to improve your campaigns further. The rest should be easy from there.